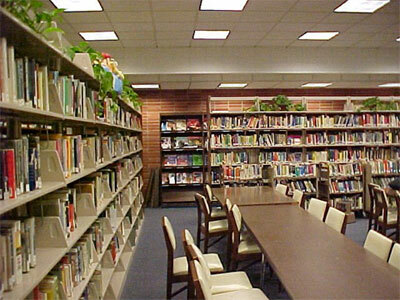 Library is one of many facilities on several places like on the city, government office, also on the school. The last place I said must have this one; it is important requisite on school. How will happen if the place to study don’t have library? Yes, people will say that those school so shoddiness. But, it isn’t rare that complete school’s facilities included have some library, no much people interest too. So, how to outsmart in order to make student endure to study there? Certainly, it is influenced with library’s arrangement. Therefore you need some inspirations about this. Here we are; school library design. Are your school library design looked like on the picture above? It is less interesting. It just like no variation; put several bookcases on the edge, and table set in the middle of room. Yes, you are right that the most important about library is quite atmosphere, but more variation on the sign book’s group, bookcase’s arrangement, also tables and chairs allow you to enjoy and make light of your study. The most difficult to make students feel like to library is on the elementary school. So, I have prepared any ideas for elementary school library design. Make variation to reading place is good idea. It is looked like the second picture above. Make some ball shape chairs and made like sofa can make student spend more time there. The ceiling accessories also influence their mood. Then arrange bookcase tidily. Or you want to imitate last school library design. I take example from one of many applied library’s design. 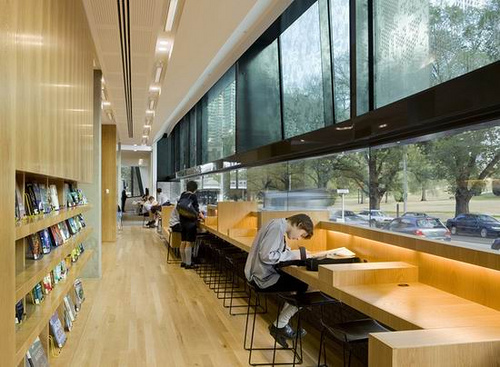 This library is arranged on the edge room, so it can combine with glass wall on that room. It was great ideas to place reading areas straight to the yard. The benefit is beside you study there, you can spend a little time to be muse while you enjoy outside scenery. 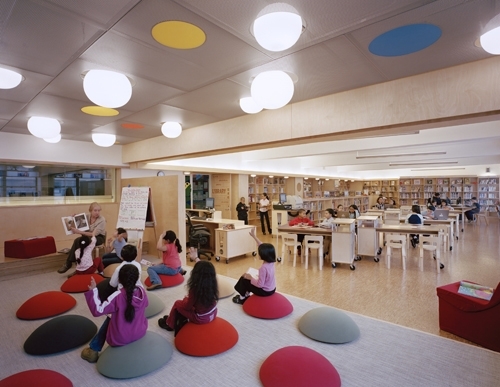 Need more great design ideas on Make an Interesting School Library Design? See our full gallery! Where can I purchased the ball shaped seating in the second picture? Where did you get the ball shaped seating and are they stackable?